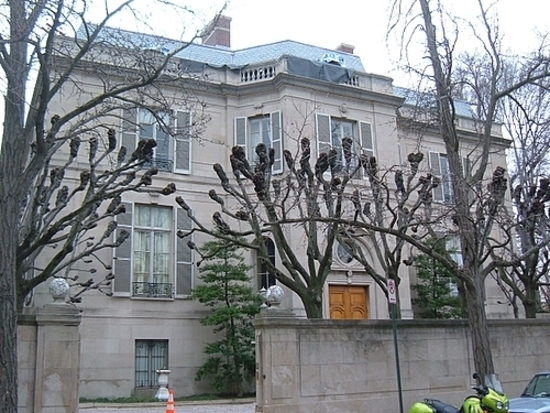 The broad lines of U.S. government, other government, and generally establishment policy toward Islamism were laid down on June 2, 1992, when Assistant Secretary of State for Near Eastern and South Asian Affairs Edward P. Djerejian delivered a major speech, "The U.S. and the Middle East In a Changing World," at Meridian House International, in Washington, DC. After some throat clearing about the collapse of the Soviet Union, the Kuwait War, and the Arab-Israeli conflict, Djerejian gave what has been called "the first major U.S. government statement on fundamentalist Islam" and, in just over 400 words, sketched out a policy that has been held to with remarkable consistency over the subsequent 20 years. 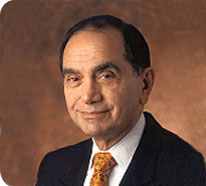 Edward P. Djerejian, assistant secretary of State for Near Eastern and South Asian Affairs in 1992. In countries throughout the Middle East and North Africa, we … see groups or movements seeking to reform their societies in keeping with Islamic ideals. There is considerable diversity in how these ideals are expressed. We detect no monolithic or coordinated international effort behind these movements. real political dialogue between government on the one hand and the people and parties and other institutions on the other. Those who are prepared to take specific steps toward free elections, creating independent judiciaries, promoting the rule of law, reducing restrictions on the press, respecting the rights of minorities, and guaranteeing individual rights will find us ready to recognize and support their efforts, just as those moving in the opposite direction will find us ready to speak candidly and act accordingly. … Those who seek to broaden political participation in the Middle East will, therefore, find us supportive, as we have been elsewhere in the world. Indeed, Washington "has good, productive relations with countries and peoples of all religions throughout the world, including many whose systems of government are firmly grounded in Islamic principles." But the U.S. government is "suspect of those who would use the democratic process to come to power, only to destroy that very process in order to retain power and political dominance. While we believe in the principle of 'one person, one vote,' we do not support 'one person, one vote, one time'." Djerejian then adduced the general rule, that the concern is political not religious. In his words: "religion is not a determinant-- positive or negative--in the nature or quality of our relations with other countries. Our quarrel is with extremism and the violence, denial, intolerance, intimidation, coercion, and terror which too often accompany it." Which leads to the take-away quote of the speech: "the U.S. government does not view Islam as the next 'ism' confronting the West or threatening world peace. That is an overly simplistic response to a complex reality. The Cold War is not being replaced with a new competition between Islam and the West." Comments: (1) John Esposito of Georgetown University was rumored to have had a significant role in the conceptualization of this speech. (2) Djerejian made a fundamentally faulty assumption, namely that Islamists can be agents to "broaden political participation." That illusion remains, two decades later, the abiding hope of the State Department and nearly the whole of the establishment. No, simply put, a deeply anti-democratic ideology cannot bring on democratization. Islamists have picked up on this hope and invariably, including right now in the campaign for the run-off presidential elections in Egypt, present themselves as democrats. "Iraqi Symphony Performs for Bush"